What Inglot says: This highly concentrated loose coloured powder which ranges from subtle to ultra- intense effects depending on application. It contains sponge gourd oil and almost 90% pure pigment. It can be mixed with duraline to create liquid forms of all pigment colours. * Please Note: Pigments are sold by weight, not volume. Containers can appear to be less than full due to settling of the product. Packaging: It comes in a sturdy transparent high quality jar, with a shiny black screw lid on the top which fits the jar nicely . It doesn't come with a sifter lid, which may or may not be a problem. It has label on the bottom of the jar which indicates the shade number. Texture & Pigmentation: This product is insanely pigmented, and I mean it in a very good way. It has a very fine texture which is easy to blend. My Thoughts: The first time I used this eyeshadow, I fell in love instantly. The colour payoff is fantastic. I would say it has a bit of bronze and burnt orange going on. I refused to post a swatch on it because for some weird reason the picture wasn't doing justice. I also love the staying power of this eyeshadow, it can last up to 7 hours provided you use a primer prior to application. I love how pigmented it is, and even when you open the jar it doesn't float away. I only wish Inglot would use names instead of numbers to label their products. It's easier to relate to products by their names than numbers. Overall: I love this product, and I would definately recommend it. It doesn't come cheap though, so I guess I would save up to add some more colours to my collection. 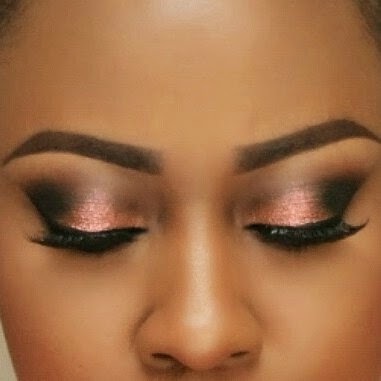 *Tips on applying eyeshadow with glitter/pigment. 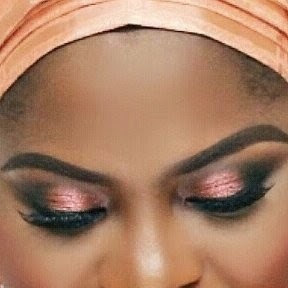 Use a base eyeshadow close to the color of the glitter or pigment you want to use. 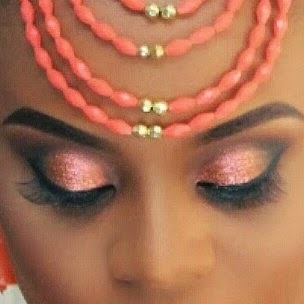 In sections, starting with the inner corner of the lid, apply some bonding glue on top that base color, then go ahead and apply the glitter/pigment. Gradually work your way to the center of the lid then if you want you could finish off at the outer corner of the lid. The bonding glue holds the glitter/pigment in place. I use Too faced glitter bonding glue or Ben Nye Glitter glue. Where to buy: Inglot Store at The Palms Shopping Mall, Lekki Lagos. Price: I really can't remember the price but I think it was #2,850 ( not up to #3,000 though). If anyone knows the exact price please share with us. It really is, i am so getting some more colours. Thanks for stopping by Annette.